Someone’s first glance at you defines your image in their mind. And, research says that footwear is something observed and judged in the first glance itself. With limited options available to express personality, footwear for men become even more vital. Right men, wear right shoes. It's not about being judgemental of men's personality. But that's how they choose to showcase their personality. Men love comfort, that comes along with that uptown style. To them footwear isn't something that, comes in myriad shades and colours. But it's those pair of footwear, that have played with the same darker shades; and yet brings about style that speaks a lot in silence. When you are looking for such immensely voguish men’s footwear, with an oomph, you're at the right place! Here your search would rest in multifold designs and colours. Take The Right Step Forward, With The Right Footwear ! Shopping was never a luxury, a couple of decades ago. Today, it's a hobby, stress-buster, style-enhancer and a leisure pursuit sometimes. And hence the increase in buying footwear online. Women still spare some time to go for live shopping. But for men, online shopping is a boon. And why not? Online shopping saves their time. 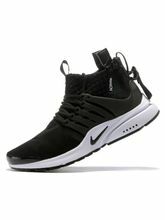 And when it's about online footwear, you'll be left in an awe with the umpteen footwear brands and designs available in mens footwear section. Speaking of the footwear brands; Infibeam imbibes brands like Converse, Duke, Floats, John West, Lee Cooper, Lotto, Puma, Reebok, Stylox, Ultra, Unistar, Von Dutch, Woodland, and many more. Of course, men might sometimes dodge the trend, but certainly not the class and brand. For them brands ain't for that moment of swag. It's about the definition of their inner being, and being specific of it throughout. That's why you might have noticed that women's footwear brands consists of omnifarious designs and style. 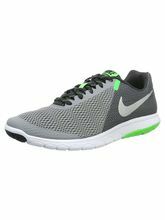 Buy Men’s Footwear Online Only On Infibeam! While men’s footwear brands dwell into one specific style, without that waffle. They are very specific in what they want. 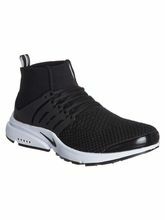 Like one pair of sports shoes especially for wearing while playing sports, a casual pair for daily wear or a pair of sandals for men sums up the footwear demands of men. Amidst of all those toughness and class, men's footwear style is also thriving on the fashion path too! There are men, who carry latest fashion & upclass trend really well. Footwear online shopping, is also for all such men; who might not find such trendy foot wear in their local shops. Infibeam, has it all not only on men’s or women’s footwear but also has a vivid range of kid’s footwear too! Browse through your favoured filters, and get variety of range in footwear; that suits you well.